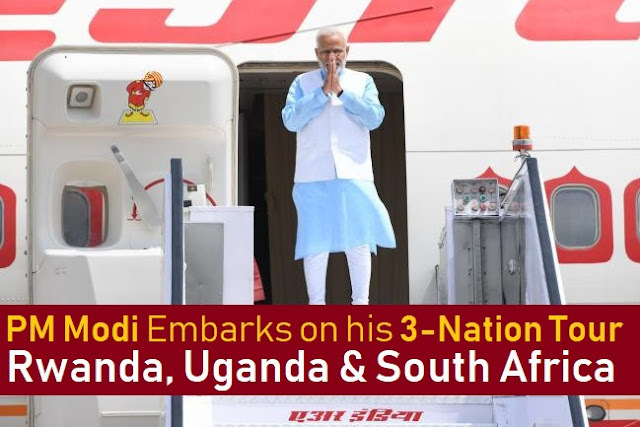 Prime Minister Narendra Modi embarked on a three-nation visit to Rwanda, Uganda and South Africa. In the last leg of his tour (25th July), Prime Minister Modi will arrive in Johannesburg (South Africa) and attend the 10th BRICS Summit. Note: The 2018 BRICS summit (25-27 July 2018) is 10th annual BRICS summit, an international relations conference attended by the heads of government of the five-member states Brazil, Russia, India, China and South Africa. In 2016, Facebook's internet satellite for Africa was lost when SpaceX's rocket exploded. The Sunil Mehta committee has submitted its report to Finance minister Piyush Goyal with some recommendations to tackle Non-Performing Assets (NPAs) and creating credit capacity. The Sunil Mehta panel presented project 'Sashakt' and recommended a five-pronged strategy to deal with stressed assets. Note: The committee was formed with a view to tackling Non-Performing Assets (NPAs) and creating credit capacity. Note: On 25 September 2013, then Prime Minister Manmohan Singh has approved the constitution of the 7th Pay Commission. Acording to the Public Affairs Index 2018 released by the think tank Public Affairs Centre (PAC), Kerala stands as the best-governed state in the country since 2016 among large states followed by Tamil Nadu. According to the Youth Affairs and Sports Minister ‘Rajyavardhan Rathore’, the Sports Authority of India (SAI) has shortlisted 734 youngsters for the scholarship under the Khelo India Talent Development Scheme to nurture sporting talent. Steve Johnson defeated Ramkumar Ramanathan (from Chennai) 7-5, 3-6, 6-2 on Newport's grass court for his fourth career ATP title. India won 8 medals (2 gold, 3 Silver and 3 Bronze) in the Junior Asian Wrestling Championship in New Delhi. Senior national champions Manu Attri & Sumeeth Reddy (Defending champions) retained the men's doubles title at the Lagos International badminton tournament in Nigeria. In women's singles, Sree Krishina Priya had to settle for a silver after a loss to Russia's Ksenia Polikaprova in a thrilling final.